James L. Payne, aka Jody Payne, electric guitarist for Willie Nelson for 35 years, has passed away. He died this morning (8-10) in Stapleton, AL due to cardiac arrest according to his wife Vicki. Payne had been suffering from heart problems for years prior. Payne was part of Willie Nelson’s legendary “Family Band” for over 3 decades until he decided to retire from the road and began teaching guitar. He was born in in Garrard County, Kentucky where he began singing at six years old. Jody first played professionally with Charlie Monroe in 1951, and then was drafted into the army in 1958. After two years of service, he settled in Detroit where he initially met Willie Nelson in 1962, but did not start playing with him until years later. 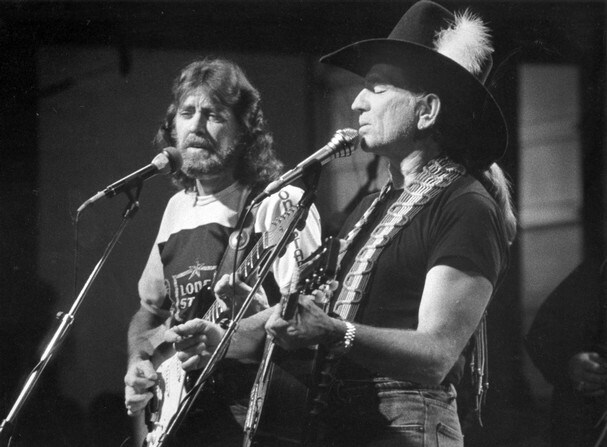 Throughout the 60’s Payne played bass for Ray Price, and also played with Merle Haggard among others before eventually joining Willie in 1973. Payne was married to country singer Sammi Smith. The couple eventually divorced. They had a son Waylon Payne who is also a musician, performer, and actor. He is also survived by another son Austin Payne, and his wife Vicki who he married in 1980. Here’s Jody Payne singing Ray Wylie Hubbard’s “Up Against The Wall Redneck Mother” on the pilot episode of Austin City Limits. My heart is so sad to hear this news. What a shame. He was an excellent guitarist and added a great deal to the sound of WN & Family. A lot of legends have passed on in the last year. It is sad, but also a time to celebrate. I have been thinking how wonderful it is that so many are passing on at an old age, rather than more stories of young men and women flaming out at 30. These folks either avoided or came through the drugs and alcohol that are so much a part of any music scene. They were able to build a legacy and in many cases become mentors to younger musicians. Peace to Payne, Cowboy Jack, George and the rest. And peace to the younger artists still struggling with their demons. So sad with the Bee spears passing not to long ago Willie’s band has lost some intergal pieces. I preach it from the mountian tops see your heroes play while you still can folks it’s never known when the oppurtunity you passed up will be the last chance !